Among her other achievements Kim Shirer served as Director of Tourism Programs for Allegany County. She was for many years one of the primary organizers of the annual Allegany-Garrett Legislative Reception and Breakfast held each year in Annapolis (also known as PACE, Positive Attitudes Change Everything). It is also worth noting that Kim Shirer was Southern Garrett (County) High School's first female drum major. Note that Shirer was also Southern Garrett (County) High School's first female drum major. 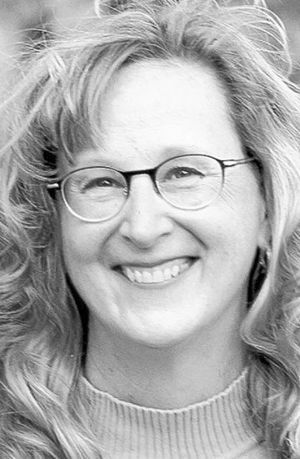 CUMBERLAND — Kimberly Renee Shirer, 52, of Cumberland, died peacefully in her home on Sunday, Feb. 1, 2015 surrounded by her family after a short but courageous battle with a brain tumor. Born on May 26, 1962 in Oakland, she was the daughter of Donald Paul Welch of Orlando, Fla., and Janice K. (Whetzel) Metheny of Friendsville. Kim was a 1980 graduate of Southern Garrett High School where she was a proud member of the marching band, playing saxophone and performing as a majorette. She was most proud of being Southern’s first female drum major. After high school, Kim worked for many years at Garrett County Memorial Hospital, primarily as a phlebotomist. She relocated to Cumberland after her marriage to Scott in 1993. She then attended Allegany College of Maryland graduating in 1996 and then went on to graduate with honors from Frostburg State University in 1997. She taught English for several years and touched the lives of many local students with her desire to help others. Kim left teaching to become the Director of Tourism Programs for Allegany County. She had many passions in life including reading, playing golf and traveling the United States and Europe with family and friends. Her favorite adventures were to England, Italy and the annual March trips to Florida. Kim and Scott went to their first NASCAR race in 1998 and she was hooked. The family attended races ever since that time and Kim loved race weekends in the motorhome. Kim also adopted Scott’s love for WVU football and tailgating in Morgantown. Also a baseball fan, she enjoyed going to Pittsburgh Pirates games and never missed her grandson, Elliott’s t-ball games. She was a proud member of the Board of Directors of the Cumberland Country Club. Of all of the times she enjoyed, Kim’s greatest joy was hearing her grandson, Elliott, laugh. In addition to her parents, she is survived by her loving husband of 21 years, Scott H. Shirer; her daughter and best friend, Hannah Myers-Shirer; and the very special love of her life, grandson, Elliott Myers-Shirer. She is also survived by her mother in law, Jacquelyn L. Shirer, who picked her for Scott; three sister-in-laws, Kathryn Shirer and partner Wayne Turnbloom, Martha Snyder and husband Barry and Charlotte Robey and husband Bart; aunt, Judy Gainer and cousins, Tracey Welch and Dani Hartman who all held a special place in her heart; her dogs, Jake and Chetney, who stayed by her side and provided much love and comfort during her illness; as well as numerous nieces, nephews, stepbrothers, stepsisters and cousins. She was preceded in death by her father in law, William A. Shirer and her very special pet dog, Marble. The family will receive friends at the Burdock-Fredlock Funeral Home, P.A., 21 N 2nd St., Oakland on Friday, Feb. 6th from 2 to 4 and 7 to 9 p.m.
A graveside service will be held in the Oakland Cemetery on Saturday, Feb. 7th at 11 a.m., with Pastor Carl Fike officiating.